The last few days have been filled with tributes to NBC Chief Washington Correspondent and host of Meet the Press Tim Russert. In the fall of 2005, I left a senior administrative position in which one of my responsibilities was government and political relations. There were some years when politics was really in my blood, especially when there was an issue to be fought or a worthy project to be funded. There also were years when the trek back and forth to our state capital was excruciating. At least, because my “client” was public higher education, I always believed deeply in the inherent value of what I was selling. Mostly, I became completely unable to tolerate a parallel universe in which a politician’s words and actions often simultaneously contained 1) an ostensibly noble, yet utterly phony, public rationale and 2) a more authentic, yet venal or self-serving, private rationale. I know. That’s politics. And it is a game. But enough was enough. 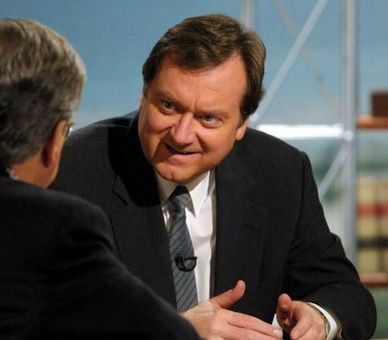 It was almost indescribably cathartic in those days to watch Tim Russert who – with infinite civility – would fillet those spinmeisters and phonies right down the middle. He always knew exactly what questions a guest wanted to avoid, issues on which they were vulnerable to charges of hypocrisy or excessive spinning. And he would ask them. No one cut to the chase with more decency. We live in an age of salivating provocateurs, people like Bill O’Reilly and Michael Savage and Lou Dobbs, who confuse rants and smarts. Completely unaware of how ridiculous they look, they get so lost in their infantile tantrums that — for all their histrionics – they miss the chance to really cut through to the truth. They ask incendiary questions and get incendiary answers. They create a lot of heat, generate almost no light, and — while everyone is getting hot and bothered — no one notices that the hard questions, the nuanced questions, have not even been asked. Russert, on the other hand, never lost his civility. Yet he still could nail a sleazeball better than any of the loonies in the media shoutocracy. He knew that skewering was best accomplished by preparation, substance and civility, by asking precisely the right questions. The slippery and the ill-informed were unmasked before a national audience without any assault on their essential dignity as human beings. After Tim Russert, no journalist will ever be able to persuasively argue that getting to the truth requires that another human being be demeaned or berated. When Tim Russert’s questions led to your humiliation or the end of your political career, you had no one to blame but yourself. It’s a sad day when the media grieves for one man since one no stands behind him to do the same quality work. It’s almost like a dream; where is the media?